A hotel’s communication process is very crucial to its success. It needs a unique system to be able to accommodate all internal and external calls. The bigger the hotel, the more sophisticated setup it needs. Some small establishments can get by with a basic telephone platform but some need more than that. At the end of the day, all hotels want a good customer experience and a good communications process is a major part of that. This is the traditional wired system that links all phones to a single PBX. This is said to be the most reliable type in terms of downtime and drop-out rates. This is the latest in communications. The phones are connected via Internet resulting to cheaper call rates. This type offers a lot in terms of innovation, management and connectivity. It is not perfect yet so it is still prone to drop-outs and poor call quality. NEC helps these businesses achieve not only their present goals but their future goals as well. NEC prides itself by being a formidable strength in the global market. NEC provides hotels with strategies that will help them avoid risks and uncertainties and will eventually make them thrive. The NEC comprehensive solution is tailor made to fit the unique demands of the hotel industry. They can provide owners with an on-site platform or cloud based one, a basic telephone system or a highly advanced one. They also offer solutions that enhance productivity and can accommodate properties of all sizes. Premier establishments all across the globe are partners with NEC because of their solutions. At the end of the day, a hotel aims to become more efficient, productive and responsive and that’s what NEC does to them. The perfect solution for small to medium sized businesses that want to grow their organisation and be competitive in the marketplace. The NEC SV9100 Telephone System is for small to medium businesses that wish to take full advantage of what VoIP, IP Telephony and Unified Communications has to offer. NEC business phone systems cover a range of digital and IP phones, wireless phones, conference phones, and peripherals to suite business of all sizes and industries. The NEC SV9100 telephone system with its intelligent design helps to solve today’s communications challenges and grow as your business grows. Reliable and adaptable, the SV9100 telephone system is built on cutting edge technology that supports voice, unified communications and collaboration, unified messaging, and mobility out-of-the-box. No one wants a phone system that’s difficult to use and even harder to maintain and protect. That’s why NEC’s SV9100 telephone system is one of the easiest phone systems on the market to configure and maintain. 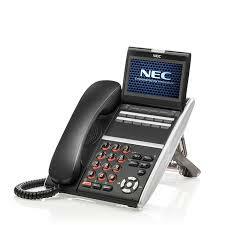 NEC has a rich history providing communications technology solutions. NEC are recognized as having the highest level of customer satisfaction among Unified Communications vendors, and industry experts have acknowledged that NEC phone systems have some of the lowest total costs of ownership in the market. As such, we know that SMBs have distributed work environments. Not only does the SV9100 telephone system converge your voice and data networks which means reduce hardware and carrier costs. In a multi site location the SV9100 telephone system also provides IP failover and the other security features that you need to keep your distributed communications safe. The SV9100’s Messaging solutions can automate your communications by providing your business with one voicemail system complete with integrated voice messaging capabilities and automated attendant features. These solutions increase user productivity by providing them with enhanced call control and an easy-to-use management interface. With the additional productivity features that the Messaging solutions provide, your users will be able to save, delete or keep as new any voice message that has been forwarded to your email system, letting you empower your team to simplify message management and streamline business communications on their own right from their desktop. You may want to invoke the automated attendant feature; as customers call your business, an instruction menu announcement will play, providing them with a choice of dialing options. From there, they can simply direct themselves to the party whom they are calling without ever being placed on hold. The UC Suite gives you and your employee’s access to the latest productivity enhancing communications applications, such as user presence, instant messaging (IM), white boarding, application sharing and a multimedia softphone. The UC Suite delivers on the promise of unifying your business’s communications by integrating seamlessly with Microsoft® Outlook® and other CRM applications. Our innovative UC Suite ties your organisational communications into your core business processes while also helping to increase employee productivity, shorten response times, encourage collaboration, and improve customer satisfaction. Today’s customer expects to be able to communicate with your business on their own time in whatever way they choose. The SV9100’s contact centre solution can help small and medium businesses improve response times, reduce abandon rates, lower operating costs, and increase revenues and ensuring both you and your customers will see a return on your investment. Designed specifically for the SV9100, our integrated SV9100 Contact Centre is smart, cost effective, automated, and easy to implement and maintain. The SV9100’s contact centre solution is designed to improve call centre efficiency by routing callers to the agent that best fits their needs (based on pre-established criteria). The SV9100 Contact Centre is incredibly sophisticated, and can accurately distribute calls accordingly and judge the workload of each agent. Organisations need mobile applications that offer enhanced communications tools for on-the-go employees. Today’s mobile workers depend on communication tools that accommodate flexible workspaces and allow free roaming wherever they are: in the office, or outside of it. The SV9100 gives your staff smart, reliable mobile applications that enhance their ability to provide quality services to your customers. NEC’s SMB mobility solutions have been designed to give your employees freedom and flexibility through the use of one phone extension and voice mailbox to ensure they never miss another important call. The SV9100’s SMB mobility solutions allow users to set up their phones to ring the device of their choice. The phone is also set up according to pre-set rules that consider your current status/availability and who it is that is trying to reach you. As an Authorised NEC Channel Partner, ISET Voice & Data can support all of NEC’s legacy telephone systems as well as provide a cost effective migration path to the SV9000 series telephony platforms, while preserving your original NEC investment. ISET can supply and install a telephone system that fits with your business requirements. 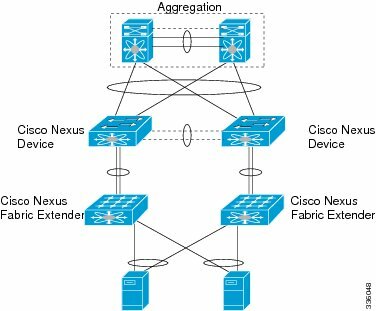 We can also take care of your cabling and data networking requirements. One company to take care of your total IT. The perfect platform for small to medium sized businesses that want to grow their organization and be competitive in the marketplace. The UNIVERGE SV9100 Communications Server is a Unified Communications solution that is ideal for small and medium-sized businesses. Its intelligent design helps to solve today’s communications challenges and is built to scale as your business grows. The SV9100E is for small to medium businesses that wish to take full advantage of what IP and Unified Communications has to offer. The SV9100S is for small businesses that just want the basics, but also want a system that will grow with their company and will migrate to an SV9100E when ready. 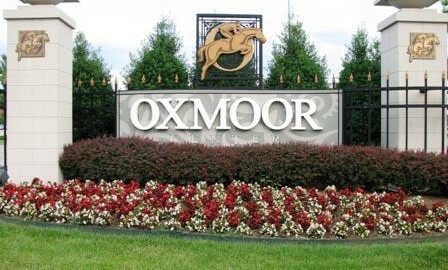 As most of you know we are a structured cabling company in louisville but we cover all of kentucky. Recently we’ve picked up a few new projects. These projects are for a retail store called JC penny. Our first store was locared in Paducah Kentucky. 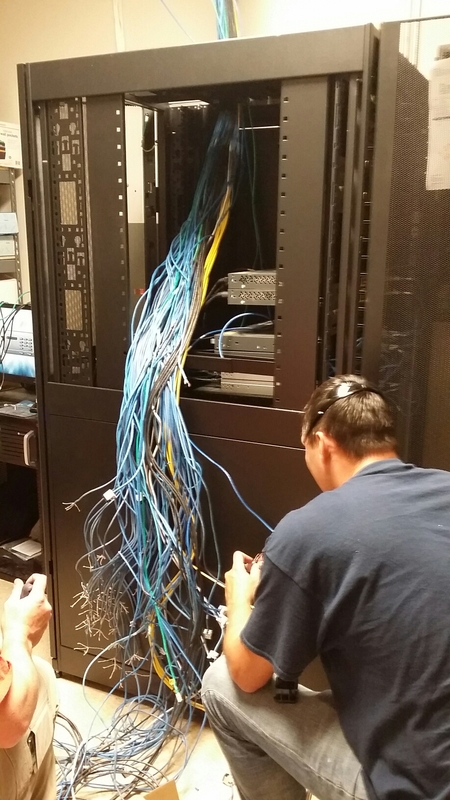 The project consists of refreshing there old server and switch equipment, as well as any structured cabling attached. This was our first one of these so it definitly had some growing pains, as the cabling cut sheet was wrong.so we ended up toning and finding about 90 cables. Moving the SC armored 62.5 OM1 fiber trunks up and over the ceiling is always a scarry task as it can break very easily. After all was done though the cabinets and cabling looked 1000 percent better. 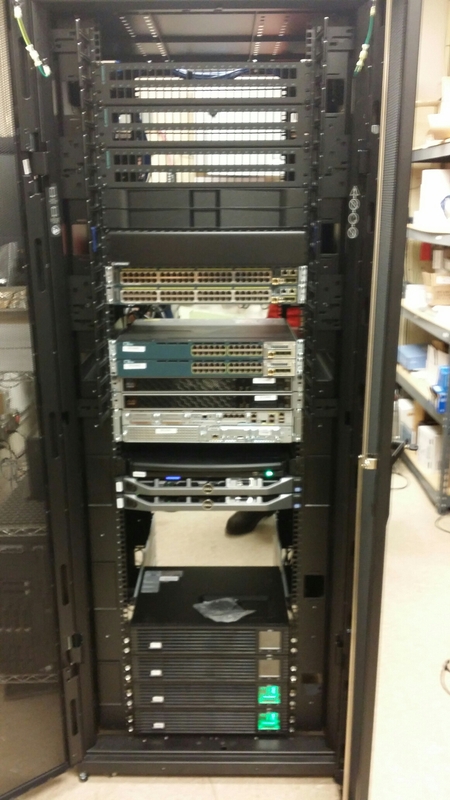 Servers and switches were cabled and customers were happy. 14 hours and a 3 hour drive home, small price to pay to make a customer happy. I dont talk much about SEO becuasw honestly its a very complicated.subject and only a Nerd like me woukd enjoy it. However lately i been asked about how we rank so well for our industry. So i will start writing more about the process. SEO is for national brands, if your a local company, lookijg to capture local customers all you need to worry about is LOCAL SEARCH or local seo. See the chart below. THIS chart lists IMHO the best citation sources. 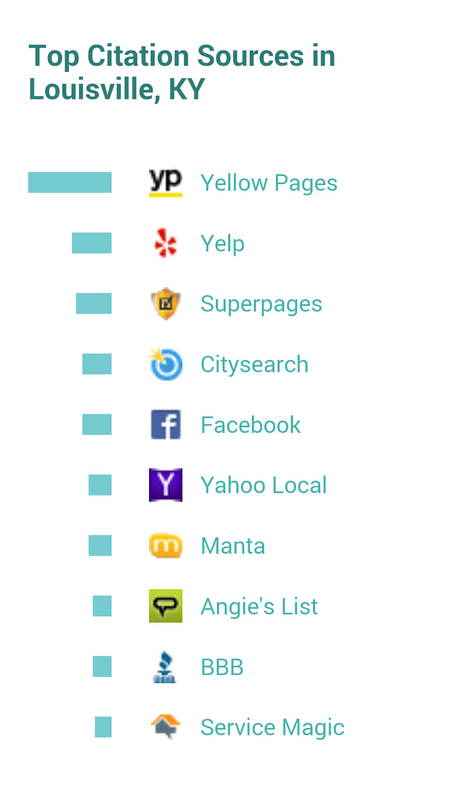 A citation is a business listing with an online agency such as “yellow pages” or yp.com you provide Your “NAP” data or NAME, ADDRESS, and PHONE NUMBER. It needs to be 100% consistant for all citations you create. Here is mine. So get cracking there are hundreds of good citation sources. These are just the best for Louisville.